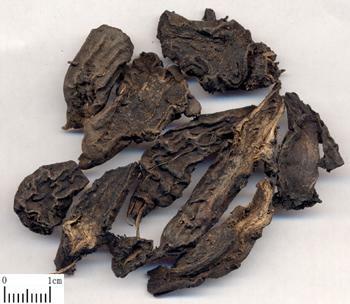 Pungent, bitter, hot; toxic; heart, liver, kidney and spleen meridians entered. Dispel wind-damp, warm meridians and alleviate pain. Arthralgia syndrome due to wind, cold, and dampness; pain of joints; cold pain of epigastrium and abdomen; pain of hernia due to cold; traumatic injury; pain of tendons and bones. Decoct 1.5~3 g. Boil it first in water for a long time. The raw products should be used cautiously. It is antagonistic to Ban Xia, Gua Lou, Bei Mu, Bai Lian and Bai Ji.